Got a lot of information that needs to fit in a folder? Say hello to tier sheets. Get three to ten separately designed sheets that stack neatly within a folder, each one slightly shorter than the previous. Use the space caused by the difference in heights for page titles. Think tier sheets could solve a problem for your business? 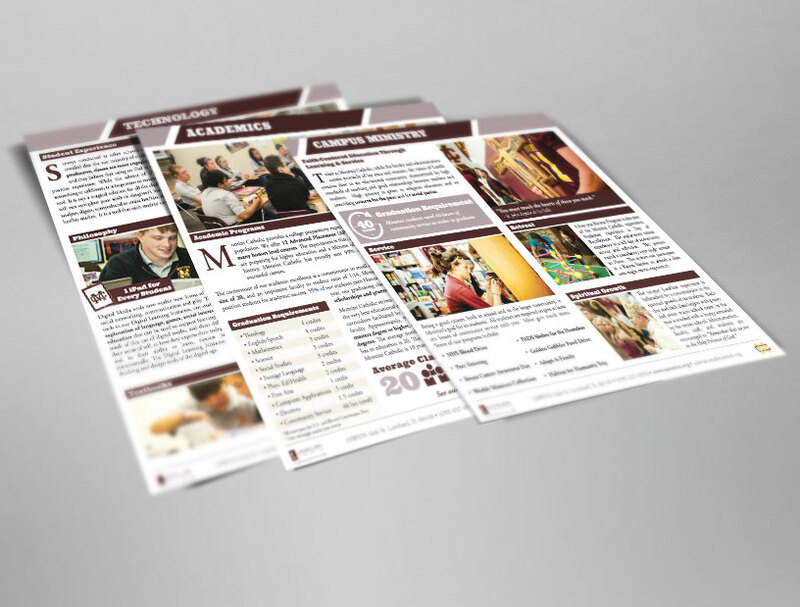 We’d love to hear about your project – contact us today. 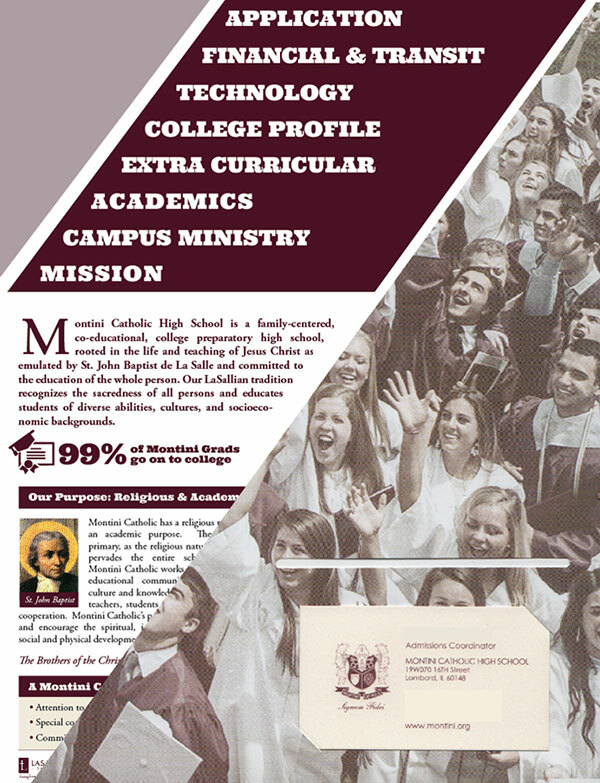 Example: An informational set of sheets designed to be placed in a folder destined for future Montini Catholic students. Eight tier sheets made to stack on top of one another within a folder. Designed to fit neatly within the diagonal pocket of the folder.